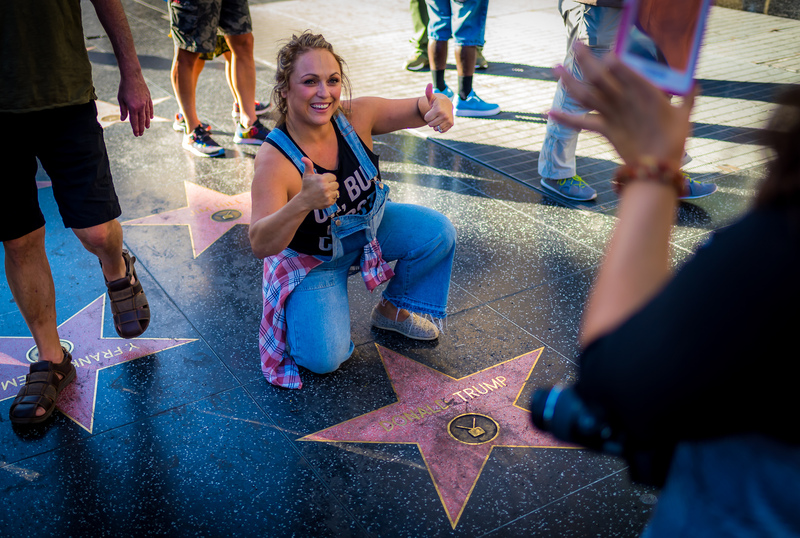 This woman came to take a thumbs up selfie with the Trump Star. In taking the picture, she noticed the star was soiled and dirty. So she got out some wipes and cleaned the star. You don’t need a deep linguistic analysis on why it is Women’s Work. You only need to notice that, most often, it is women who do it. In the year 33 Mary of Bethany wept. 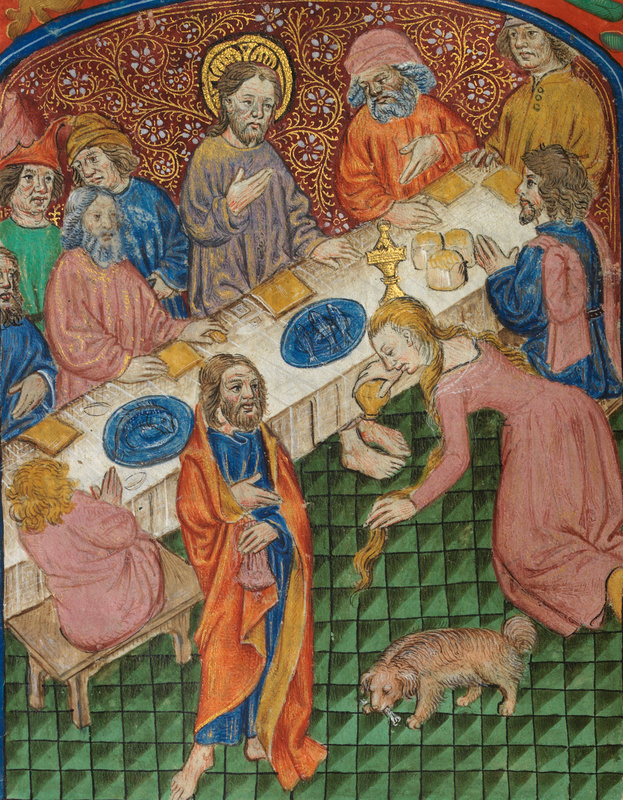 Her tears fell on Christ’s feet. And she washed his feet with perfume and dried them with her hair. A-thousand-nine-hundred-and-forty years later, Mierle Laderman Ukeles washed the steps of the Wadsworth Atheneum, an art museum in Hartford, Connecticut. 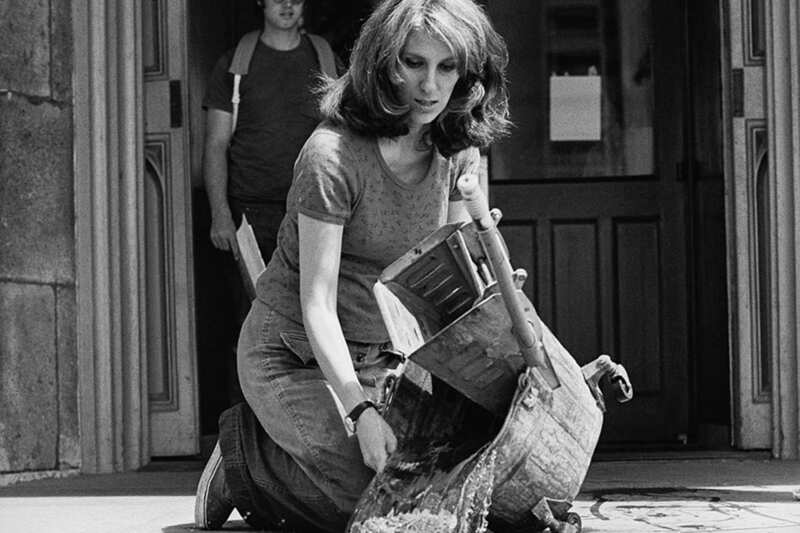 And another forty-four years after that, I watched a woman on her knees cleaning the sidewalk. 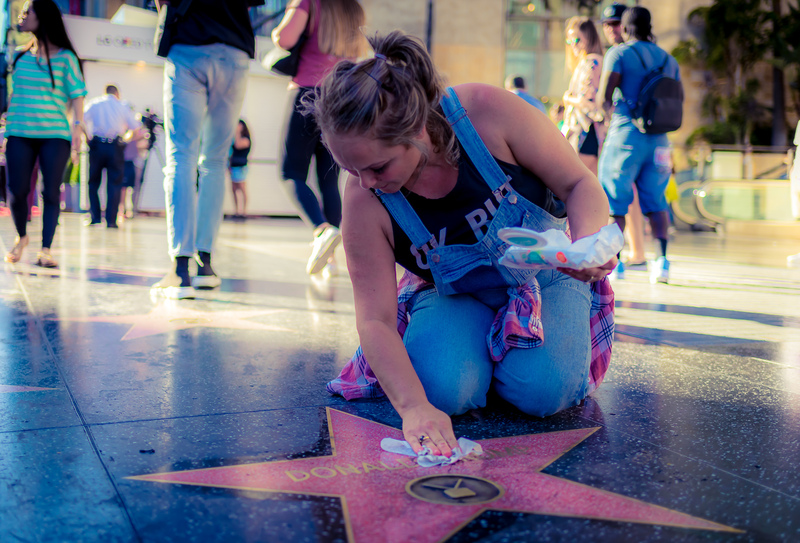 Washing the 45th president-of-the-United-States’ Star on Hollywood Boulevard.